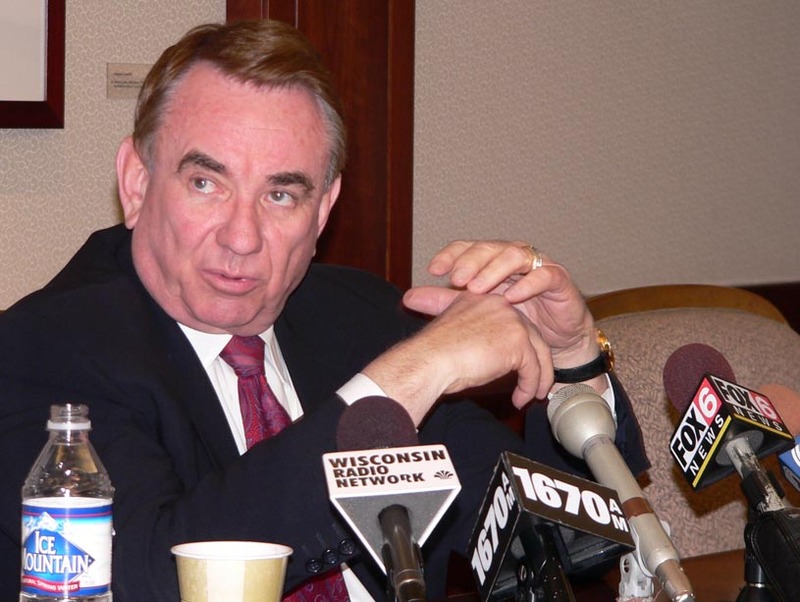 Tommy Thompson appears to be putting all his political eggs in the Iowa basket. 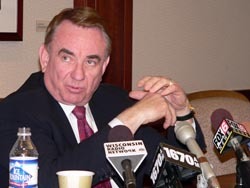 He&apos;s been focusing a lot of time and energy on getting the structure of a campaign in place in Iowa, and meeting with reporters in the offices of a Madison law firm, the former Wisconsin governor and Bush administration official says he&apos;s "very comfortable" with how he&apos;s being received there. "I&apos;ve been down there every single week since the first week in December," he says. "I have received a tremendous amount of encouragement from the people of Iowa, especially the caucus goers." Thompson again stops just short of making an official announcement that he&apos;s seeking the Republican presidential nomination; but he&apos;s confident he&apos;ll do well in the Iowa caucuses. "I&apos;m telling you how I&apos;m doing it," he says. "I&apos;m also telling you that I&apos;m doing more things, better, than any other candidate in Iowa." Iowa Republicans will participate in an unofficial straw poll in August, what Thompson calls a "popularity contest." Thompson says he has an organization in place in every county in the Hawkeye state, and intends to carry momentum into strong showings in the New Hampshire and South Carolina primaries.